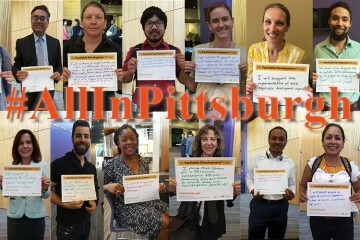 Speaking to NEXTpittsburgh earlier this week, project manager Rebecca Flora says that the grand vision will not be finished for another 20 years, which is fine with her. There has been progress throughout 2018: Two high-profile tenants, Carnegie Mellon University’s Advanced Robotics for Manufacturing Institute (ARM) and the Manufacturing Futures Initiative, began construction earlier this year and expect to be open in early 2019. These high-tech factories will be housed in redeveloped pieces of the Jones and Laughlin Steel Mill. In late September, Pittsburgh Planning Commission approved preliminary guidelines for the development of commercial and residential space, and earlier this week, the project managers officially put out calls for local designers to submit proposals for Phase 1 of the development. At the moment, Phase 1 refers to the 27 acres surrounding the ARM institute. Given how long the project has been in the works, this may seem like a flurry of activity. But Flora insists that progress will continue at a careful, deliberate pace. As she explains, the project’s unique, nonprofit structure means her team can concentrate on goals beyond just lining up lucrative, high-profile tenants. The larger vision is for a dynamic space that will keep up with the changing needs of both the tech industry and the surrounding community. As such, Flora is wary of making specific promises on exactly how all of the land will be used. On housing, she says an action plan made in collaboration with local groups including the Hazelwood Initiative will be coming sometime this fall. Before that plan can be completed, she says, “We need to know more about current needs and current gaps” in housing. She was willing to say that if the project is managed correctly, she could see as many as 3,500 total units of housing eventually going up over the lifespan of the project, with some percentage of affordable units yet to be determined. 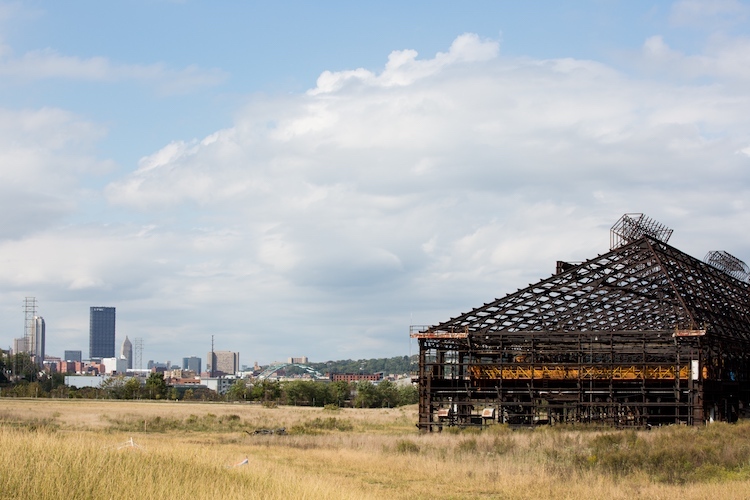 As the project’s website notes, it is one of the “last remaining tracts of significant riverfront property” in the Pittsburgh region, and could serve as a vital economic engine for chronically underserved and underdeveloped sections of the city. Flora hopes the Hazelwood Green’s focus on community and sustainability can serve as a model for future developments elsewhere in our rapidly changing city.